After much anticipation, the Centers for Medicare and Medicaid Services finally released the final rule on accountable care organizations. As physician and hospital groups were initially wary of ACOs, CMS said they’ve considered the suggestions and the rule was adjusted accordingly. Among other changes, interested physicians will now have more time to get an ACO up and running. Meanwhile, other parts of the new health law haven’t has the same success. The administration has cancelled CLASS, the law’s long-term insurance program, calling if financially unsustainable. The decision has given GOP lawmakers ammunition for arguments against the ACA. For details on that and much more, listen to this week’s Policy & Practice Podcast. There’s been a lot of criticism of the accountable care organization (ACO) concept lately, or more precisely, the federal government’s proposal to share Medicare savings with qualifying ACOs starting next year. That proposed regulation, which was released at the end of March, outlined how qualifying ACOs could earn additional payments if they could save the Medicare program money. But there were plenty of caveats. The Centers for Medicare and Medicaid Services proposed that ACOs meet a certain threshold of savings before they could get any money back. And the rule also set rigorous standards for quality of care, requiring ACOs to meet 65 quality measures. Since the rule came out, many physicians’ groups have criticized the proposal, saying that it made it too difficult for physicians to get involved. The steep up-front investment in technology, workflow redesign, and staffing, coupled with the uncertainty of achieving savings, would be too much for many practices, they argued. And even officials at the Cleveland Clinic, a health system that many viewed as a prime candidate for being a successful ACO, have said they see major problems with the Medicare plan for ACOs as it stands today. 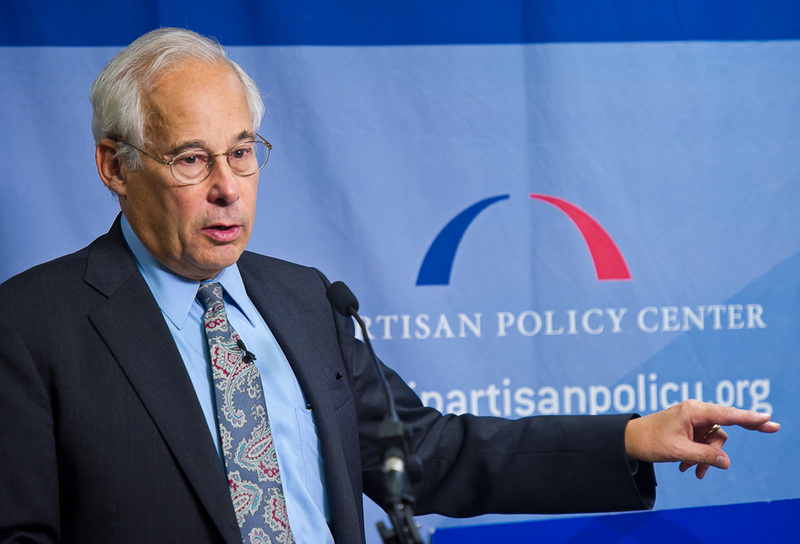 Dr. Don Berwick. Photo by Laurie Swope. And beyond those cultural changes, there are many other obstacles. There’s stranded capital, Dr. Berwick said, and a workforce that is underinvested in primary care and not well suited to supporting continuity of care. There are immature metrics to measure what goes on in an ACO and limited capacity to use the metrics that do exist, he said. Plus, there’s the problem that most of the money paid out by Medicare and private insurance is for the volume of care delivered, not the quality of care received. But those aren’t reasons to shy away from ACOs or other fundamental reforms of the health care system, Dr. Berwick said. To help overcome some of the obstacles to the success of ACOs, CMS’s Innovation Center is holding learning programs like the one in Minneapolis. They are also experimenting with the idea of advancing funds to promising ACOs that lack start-up money. 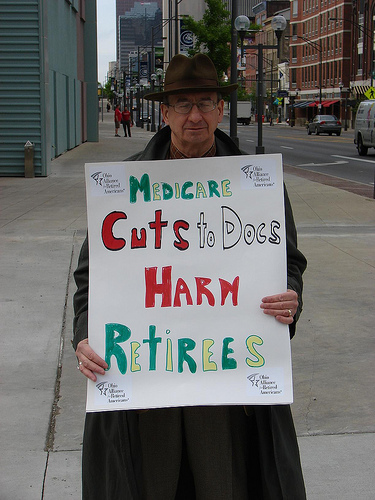 And they are working to get better data out of the Medicare system. “We intend to help,” Dr. Berwick said. 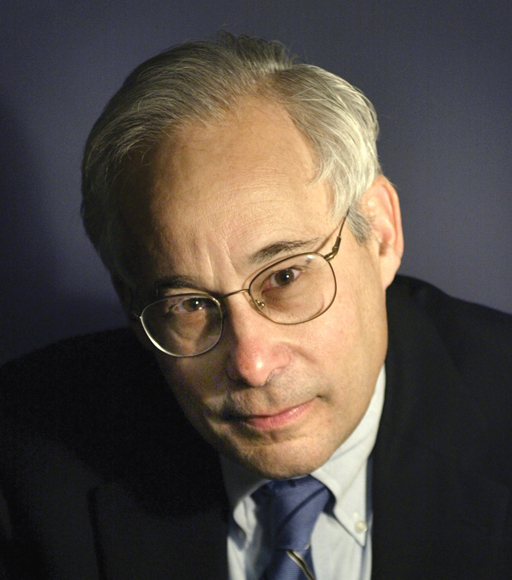 So does Dr. Berwick make a convincing case for ACOs and the government’s shared savings program? Let us know what you think. Most physicians would be happy if they never had to read, hear about, or discuss Medicare’s Sustainable Growth Rate, or “SGR” ever again. Alas, it looks like years of attempts to get rid of that formula, which dictates physician fees for Medicare, have come to naught yet again. Congressional negotiators agreed last week to give physicians a reprieve from the 21% cut due to take effect on June 1, but instead of a replacement for the SGR, they simply said they’d punt on the issue for the next 3 years or so. Physician groups and even the White House expressed exasperation, yet again, and it was all captured on this week’s installment of the Policy & Practice podcast. Also included in our 3-minute rundown: a first look at the accountable care organization, or ACO.